HP has finally demonstrated a viable Tablet PC in Taiwan yesterday that runs Google Android and is compatible with their new wireless printers. 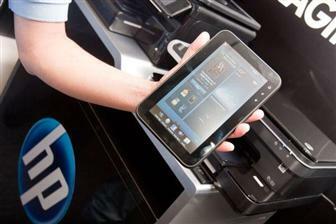 The Tablet seems to have a 7 inch display with HP’s Touch Smart Interface for operating the Zeus Line of printers. One of the drawbacks of this device is that despite the fact it runs Android, it does not have access to the Android Market or Gmail. There is no release date, but Digitimes is reporting that it is unlikely that HP will release this new tablet before November and might wait until next year to finally debut a tablet device. HP this year has been developing tablets left, right and center. Although tablets have been showcased most notably at CES this year, when it was a part of the HP’s keynote speech with their Windows tablet, and the HP Hurricane later on, nothing much materialized. This is directly related to HP’s acquisition of Palm.